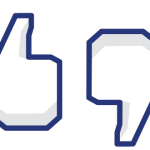 What Do You Think About Facebook Posts? Is there a Facebook YOU and a Real YOU? There is a woman that I know from a networking group that always tells me how much she loves my Facebook posts. Almost every day that she gets on Facebook, she looks me up to see what funny thing I have to share. Well it took me back a little. Here is a professional woman whom I admire immensely, bothers to approach me and tell me what I post starts her day off to a good start. Stunned. And for me too, there are those people that I look up to see what kind of snarky, playful fun can be going on because my day isn’t necessarily going the way I wished it was. As I have written several times in this blog, Facebook is a great escape for people at one point or another during their week. 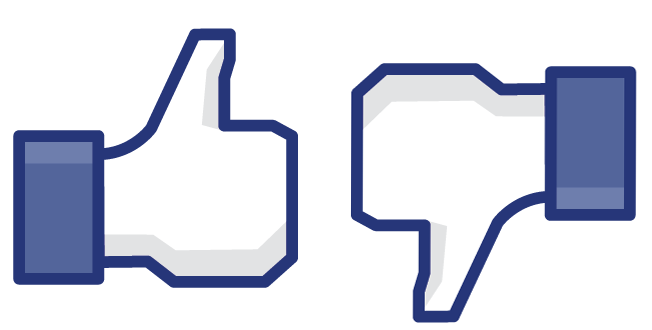 A few years ago I wrote a post about people taking what they see on Facebook at face….VALUE. And it seems that the same people that use the excuse that they “thought” they knew your life was okay because of what you post on Facebook are probably the same people that wouldn’t call you to find out anyway. But that is another post for another day. Now before you get all rabid on me, you are right. This is an individual’s page and in the spirit of free speech, that page can say whatever they want it to, right? But I have a dilemma – do I “unfriend” the person because the politics and rampages are just driving me crazy OR do I tell I am going to do it first? And on a philosophical note, which is my real friend? The person that I hang out with, laugh and cry with or the person that spews anger through their Wall? I am sure I have mentioned it either in this blog or another that when I was a child, my grandmother would say, “Kelly, you are the only person I know that runs INTO the room when there is a commercial on TV.” She was right. Then and now I still find commercials interesting. I can still sing the Shaeffer Beer Commercial in my head. I know that music/sound can engage certain parts of your brain so you remember things better. I am no psychologist but I know that for me often songs that I absolutely hate become that song that plays over and over and over in my head and I cannot get it out! Even though it may seem like it by this post, my life isn’t about beer commercials. It’s about thinking differently. And just like that commercial for Apple Computer that applauds innovation being world changing, what about your own life changing? What is my Personal Brand? I’m a business owner, a dog owner, a gun owner, an aunt, a sister, a daughter, a friend. So many different things, to so many people but who am I to me? Who do I want to be the most? The last 11 years, I have been an owner of Sephone. And all of my life I have been a marketing person. I think “like that” all the time because I am in it all the time. Being part of Sephone Interactive Media, I have been fortunate to learn so many things about online marketing and social media. I have been able to be on the ground floor. When we started, Sephone, the idea of someone without web skills punching in text was unimaginable to so many people. So many people other than my partners at Sephone. They knew, I believed (and still do) and here we are! I love people, I love to help and I love to tell stories. About 8 years ago, I met a woman named Deb. Deb Neuman is a very inspiring woman. Never afraid to try something new. Never intimidated to be around other driven out of the box thinking women. Over the years, we have helped one another, cried, laughed and had a blast doing it all. We both have grown and changed along the way. 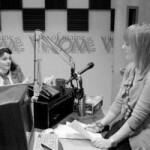 Deb has been the State of Maine Deputy Commissioner of Economic Development, a “media head” writing columns for newspapers, blogs, she has her own syndicated radio show and she is currently on the air today. She has been a small business owner, has a cottage industry going and she STILL gets people together. She has connected me with countless people as I have her. As “50 Something” women we are working on a project, Not Your Mother’s Menopause, This blog has grouped some writing women and some experts that can write. 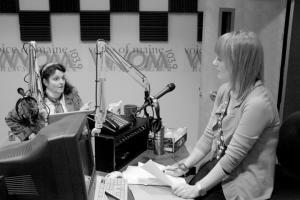 We share experiences of all kinds to other women or people that are feeling like us. There are so many writers and topics it is easy to find some you like and identify with. Personally I am sharing stories from my life from 50 + and how I have been on the road to making changes in my life. Yoga, Hypnosis, Meditation, stuff like that. I also talk about how 5 years ago I never would believe that I would be doing this! We are getting lots of visitors and lots of interest from all over the world. I am finding that this writing that I am jumpstarting my own writing again. Once again Deb gets me moving in the direction I need to go in and want to go in but need that little shove to do it. Thanks GF! This blog will still go on and GROW on because of Not Your Mother’s Menopause and all the great chemistry of all these great women! Have ideas of what you may want to see? Shoot me an email and THANKS! !